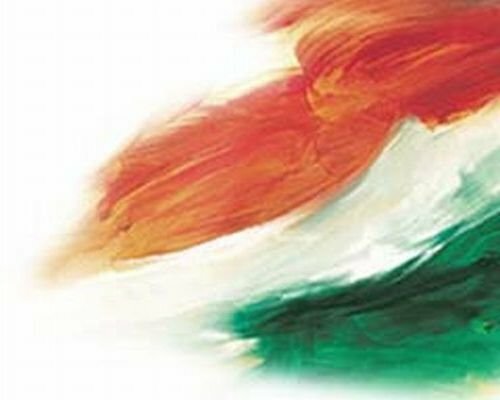 Today is Indian independence day. A day we celebrate our freedom. The day when we celebrate our national integration. The day when we celebrate our spirit of fighting for what is true and what is right. Today we blah-blah-blah. How about some reality check?? We celebrate freedom – Are we really free?? We celebrate national integration – What about personal integrity?? We celebrate te spirit of truth and righteousness – Are we really truthful and righteous? I am not questioning you. I am questioning each one of us, including me. I dont think we are free until we get ourself free from the mediocre thoughts of high and low class. Unless we abolish the concept of discrimination. We are not free until the man and woman in our nation have the same rights and they can be proud to enjoy them…when we have the law and order in order…when we have the public leaders show their leadership for philanthropy rather than malice. We can not question integrity of the nation, or of the parliament for that matter unless we ourselves practice it. Havent you bribed anyone in past one year? Havent you sneak in the local without a ticket? Havent you tried to cheat on someone? If your answer was no, may be i am asking the wrong questions. But what i want to say is, first, lets look what we are before we try to blame others. Lets just not celebrate for the sake of celebration..lets be a part of the celebration. Lets be the part of the achievement for the nation. Lets first build it, and then be proud to criticize what we have built and improve it. India in all essence, is still a great nation, and has a long way to go. Its our choice which way we want to take it…Vande Mataram! !